Last year, Gabby de ladenco Fomato was working long, late hours as an occupational therapist in the Philippines. She worked on her feet, helping those around her to cope with physical disabilities. Gabby coached her patients physically and mentally to help bring about positive changes in their lifestyles. At home, Gabby’s first priority was her devoted boyfriend. They had decided to become a family, and were working out the logistics of moving in together. It was a big choice, and they were both optimistic about the change. Gabby and her boyfriend moved to a small apartment in the big city. Their funds were limited, and their jobs weren’t ideal, but they were happy. Even with their new lifestyle and adjustments, Gabby continued working late hours at the hospital. But something was about to change. A few months after the boxes were unloaded and the happy couple settled into their tiny apartment, Gabby got sick. Her commute to work became grueling. Long hours on her feet felt unbearable. She was constantly exhausted. And her exhaustion was exacerbated by her nausea; she could barely eat. And in the midst of all of the sickness came the explanation and the life-changing news: Gabby was pregnant! How would they pay for bills? Who would care for their child during their long working hours? Could they fit their new family into their small apartment? Did they want to raise their sweet baby in a high-rise in the city? Gabby’s boyfriend encouraged her to leave her job so she could rest and ensure a healthy pregnancy. They both knew they needed the money, but she was in no shape to work on her feet. Gabby was determined to contribute to their growing family. Another big change was inevitable: she would try to find work from home. Gabby applied for several jobs on OnlineJobs.ph. Sooner than expected, she secured employment as an online content writer. Several months after Gabby began working from home, her precious baby girl was born. Gabby moved to a beautiful home with her family, paid for her baby’s delivery, and even worked hard to earn a raise. She continues to work from the comfort of her new home, where she can also care for her baby. Gabby chooses her own hours, works on her time, and she receives a steady, weekly paycheck. She and her boyfriend even put money into savings each month, to prepare for future changes life may throw their way. You too can have a home-based job and a lifestyle like Gabby. Sign up for a free Onlineojbs.ph jobseeker account to start your profile. And once you’re done, you can start applying for jobs. You can also watch other inspiring stories from Joven and Danny. Wow its great. I also want a job like her. I will continue my application. Thanks for sharing and inspiring us Gabby. I hope I will find a home based job like u sooner or later. God bless! Yes, it is so inspiring like me who also rendering 9-13 hours working hours and 3-4 hours of travelling back and forth with 2 kids. Inspiring story ?. I hope to find a online job too. my comment. they nothing to lose hope in life because of the virtual assistant for any people need a job. I am so inspired by his story. I am a single Mom and I want to work from home it is been a week since I created my profile with onlinejobs.ph but I see no result and no one is reaching to me I really wanted to start as soon as possible since I already resign so that I can focus on home base. wow! thank you for sharing. I wanted to work also, though its not easy but there’s no harm in trying…hoping for the best for the coming days! AJA! Hi i am willing to apply this online job beacause i am so tired of travelling everytime that we have survey to be made i leave my 2 kids. I can relate to Gabby’s story. I had high-risk pregnancy and struggled to keep up with my office-based work. Travelling 2 hours a day to go to work and 3-5 days a week field operation have been tough for me. Last week, when I was on my 8th week pregnancy mark, had my OBGYN ultrasound and check-up. Unfortunately, I had missed miscarriage. My baby stopped growing at 6 weeks and 5 days without cardiac activity. This was my first pregnancy. It made my husband and I decide it is better if I just stay home to heal and recover from our loss. This will ensure, as well, in case I will have future pregnancy that I will have time to take care of myself, the baby and try to maintain our financial needs through working at home. 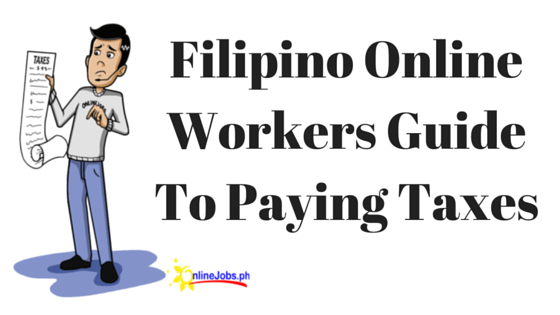 This made me sign up for Onlinejobs.ph and hoping that I will have like Gabby’s success story. I am very excited to start working again without the hassle of leaving the house to work hard and smart. Stories were very inspiring and got me interested of having a career online as well.I was a seafarer and worked as a professional social photographer and took charged as digital photolab manager.Money was never a problem,travelled around the world for free and dealt with different type of people.I worked for six months onboard and given only maximum of six weeks vacation.Doing this over and over for many years was like half of my life was wasted.I missed a lot of important family events being away from my loveones and no longer getting any younger and no longer suited for shipboard life.I wish I could get any response. also like her Someday. thanks for sharing. I’m hoping that to be part of this kind of online job. I’m so very tired of my job because of my salary. to work online also. thanks for sharing. Inspiring story.I created my account here about a month ago. I tried sending my application on the first week but haven’t heard any reaponse from the employers. I checked my cover letter and resume and made some changes. After I improved the content I immediately started getting responses from the employers wanting to set up interviews and exams. Yesterday i took online assesment for quality assurance officer and now waiting for the next step of my application. I hope this comment help aspiring applicants like me to get their dream homebased job. This is great news Lei. It’s true, if you’re not getting any responses, you need to check your profile, cover letter and anything that you can improve. I’m sure your comment will help so many others out there who are still not getting any responses. Wishing you the best on your job/job hunt! Good Day, yeah its really inspiring to take a job like online jobs but its also a lot of hardwork to do to get paid and done because its a job for a living, to survive also. The story of Gabby is great, she is lucky to have a job here. Hope I can find one here too. I ask if it needs a computer and internet to get hired here? Yes, you would need your own computer and internet to get an online job. I’ve been applying for many times but no one called me about my application. What is the best strategy you would provide inorder to get hired. I am NIEL VINCNET M. JARABEJO from Philippines looking for a job online home base can you help me have a job?